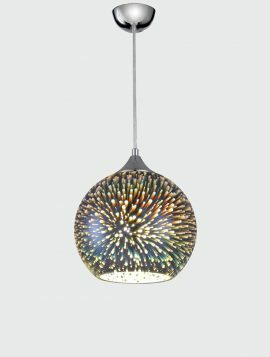 The Vision small pendant has a chrome finish when unlit, and when it is illuminated it takes on a unique 3D holographic effect. 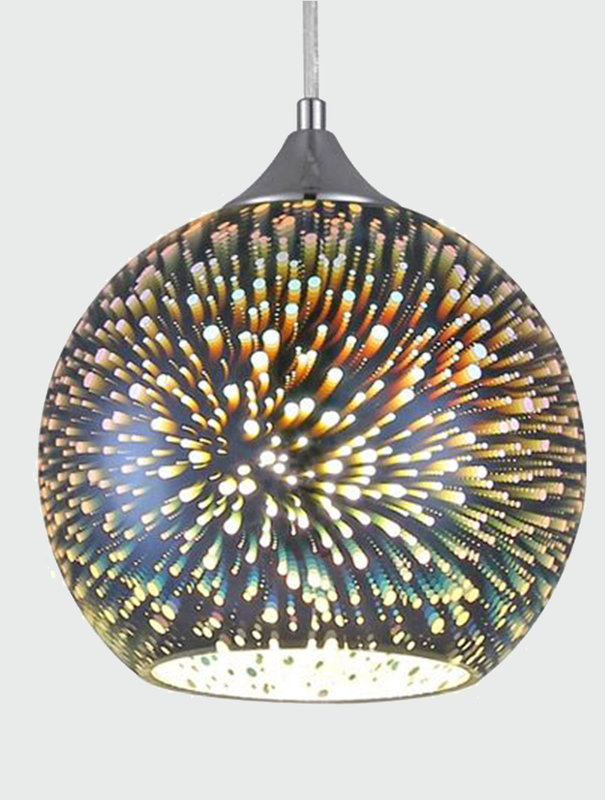 This pendant has a clear cable which can be adjusted on installation to a maximum of 125cm. Add a unique style to your living space with a different look on and off with this beautiful pendant. Use dimmable lightbulbs for lighting levels you can control. Also available in: Medium, Large and Elliptic. 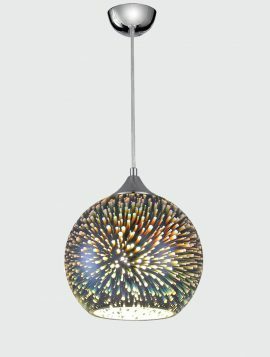 The Vision large pendant has a chrome finish when unlit, and when it is illuminated it takes on a unique 3D holographic effect. This pendant has a clear cable which can be adjusted on installation to a maximum of 135cm. 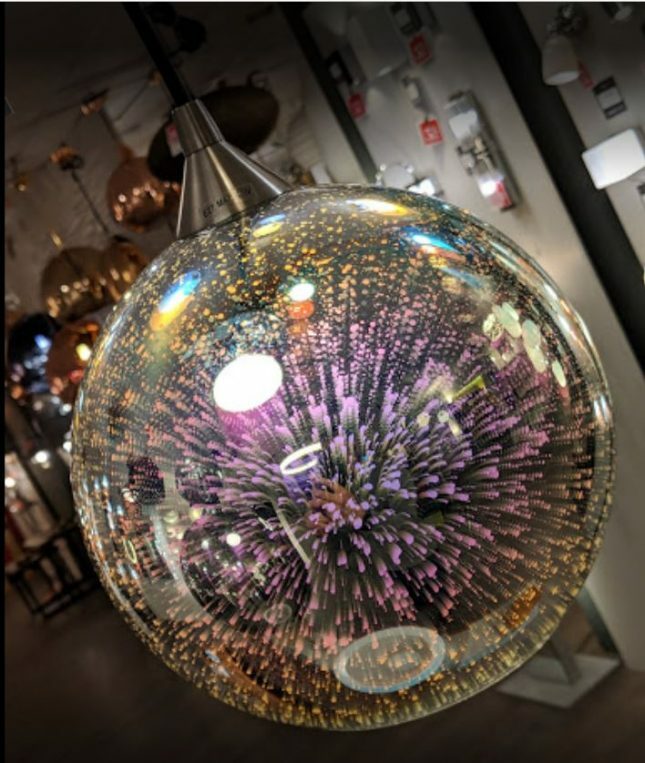 Add a unique style to your living space with a different look on and off with this beautiful pendant. Use dimmable light bulbs for lighting levels you can control. Also available in: Small, Medium and Elliptic. 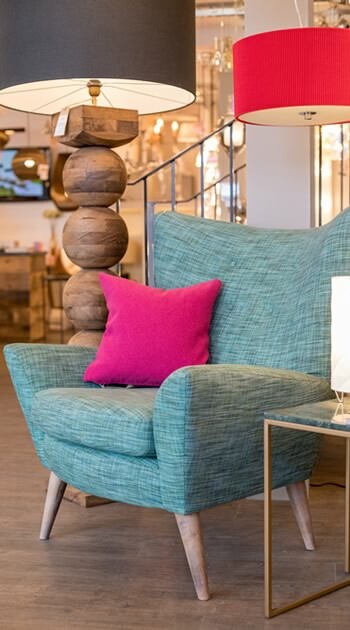 The Keota table lamp features a brightly coloured, 3D effect glass shade and polished chrome base. The base is touch operated with three adjustable light levels and has a clear cable. This table lamp is small and compact, allowing it to be delicately placed either side of a bed or subtly in a lounge on a small table. 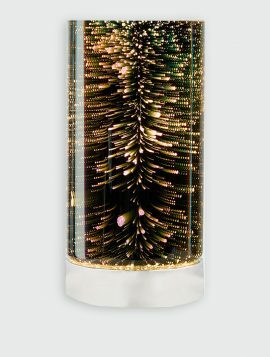 The Vision medium pendant has a chrome finish when unlit, and when it is illuminated it takes on a unique 3D holographic effect. 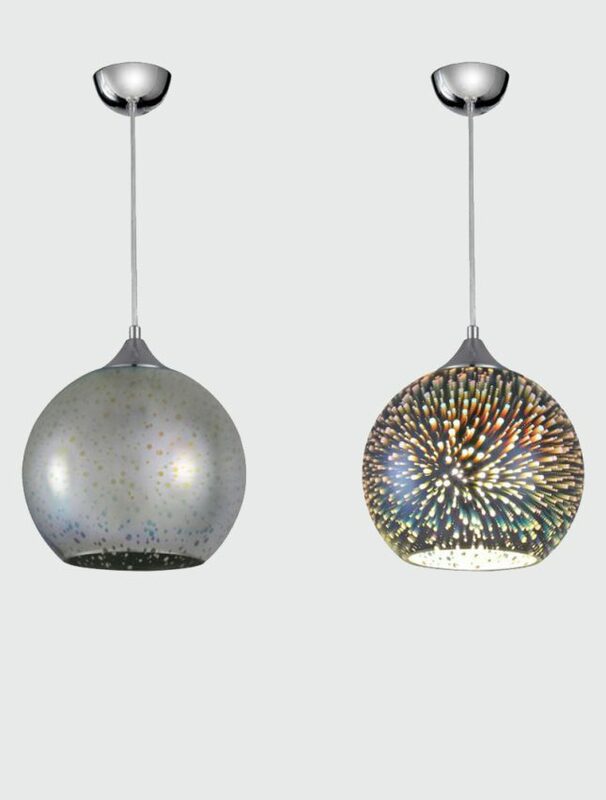 This pendant has a clear cable which can be adjusted on installation to a maximum of 130cm. 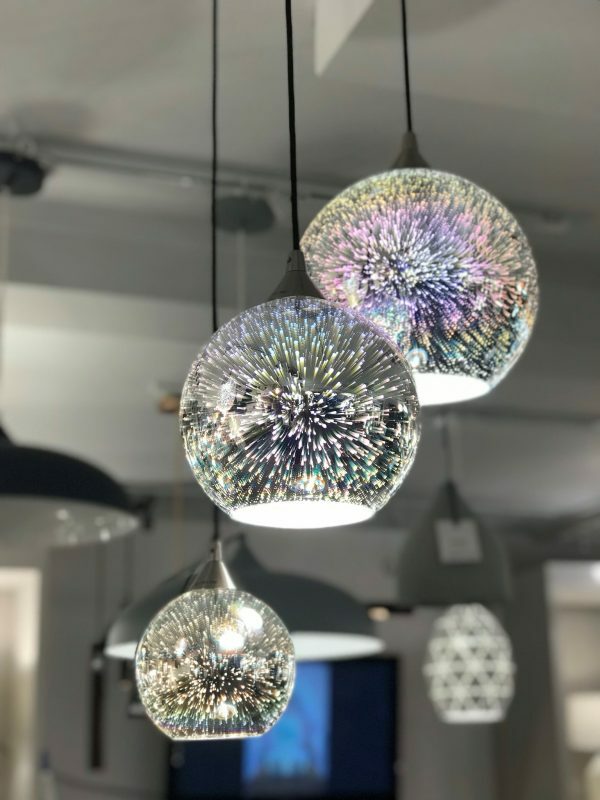 Add a unique style to your living space with a different look on and off with this beautiful pendant. Use dimmable lightbulbs for lighting levels you can control. Also available in: Small, Large and Elliptic. 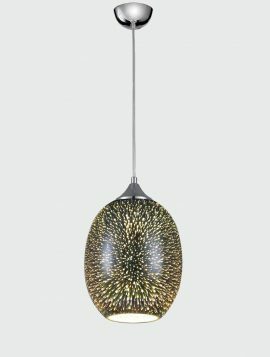 The Vision oval pendant has a chrome finish when unlit, and when it is illuminated it takes on a unique 3D holographic effect. 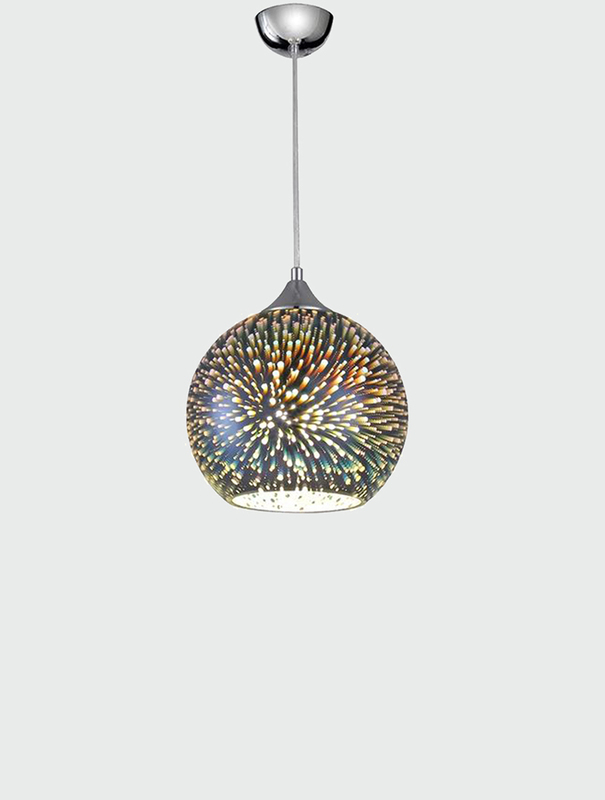 This pendant has a clear cable which can be adjusted on installation to a maximum of 137cm. Add a unique style to your living space with a different look on and off with this beautiful pendant. Use dimmable lightbulbs for lighting levels you can control. Also available in: Small, Medium and Large.